All-out elegance! 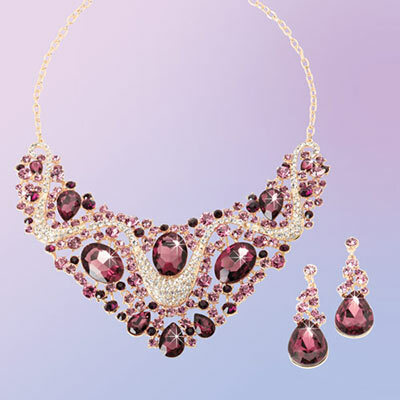 Rows of sparkling rhinestones in amethyst and rose create this glamorous necklace. Drop earrings coordinate perfectly with matching rhinestones and teardrop faceted glass gem center. Necklace, 14"l with a 3" extender; Pierced earrings, 2½"l. Hurry! Quantities are limited!